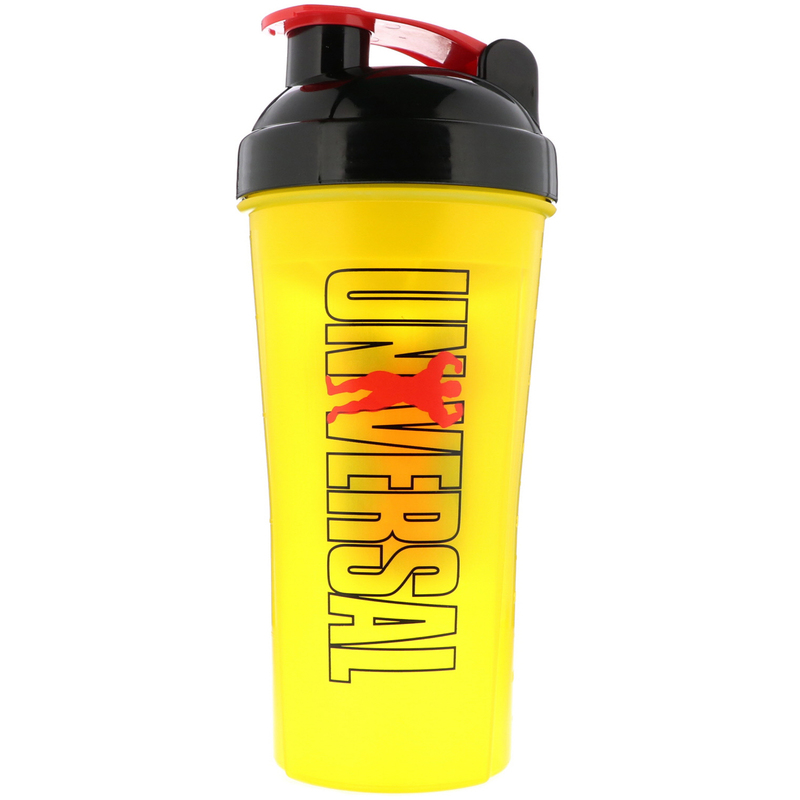 The all-new Universal Shaker Cup has been completely redesigned from the ground up. With a patent-pending design, this shaker is now sleeker, sturdier, more substantial and more reliable than the previous model. The biggest improvement lies in the upgraded lid. Instead of a one-piece lid, the new shaker features a two piece color-coordinated lid that utilizes a unique hinge for superior durability. No more worrying about the flip top snapping off. Another change comes inside. Rather than a mesh screen that breaks up powder, the new shaker has 8 "blades" that effectively and efficiently disperse the powder in liquids. 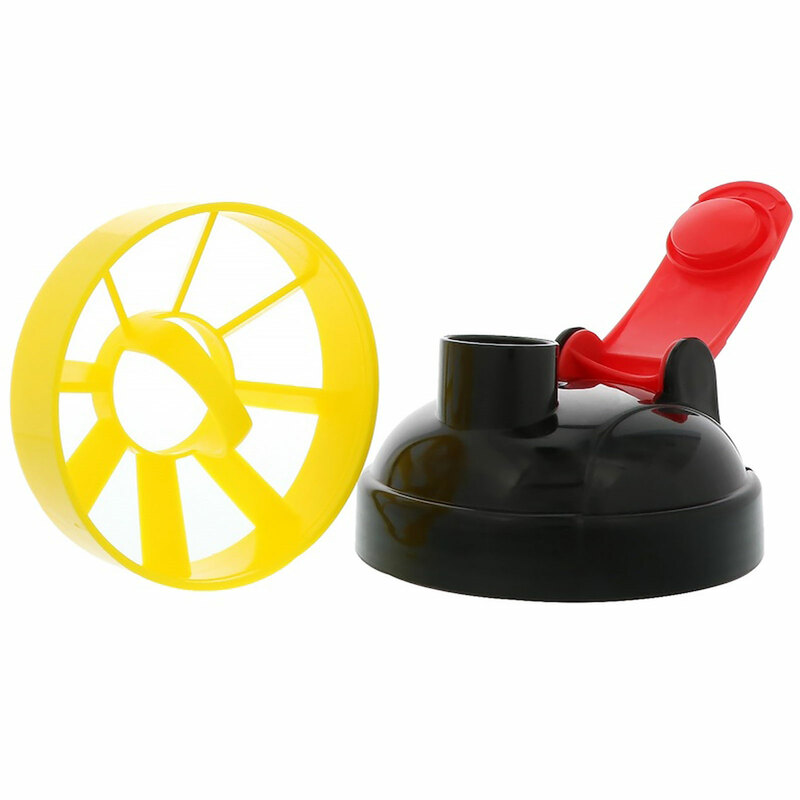 Best of all, with a simpler design, this piece is much easier to clean. The new shaker also sports a new design. On one side, the classic Universal logo and on the other, the iconic "red bodybuilder". Finally, the shaker is marked so that you can measure up to 25 oz (in 1 oz increments) or 700 ml (in 50 ml increments). 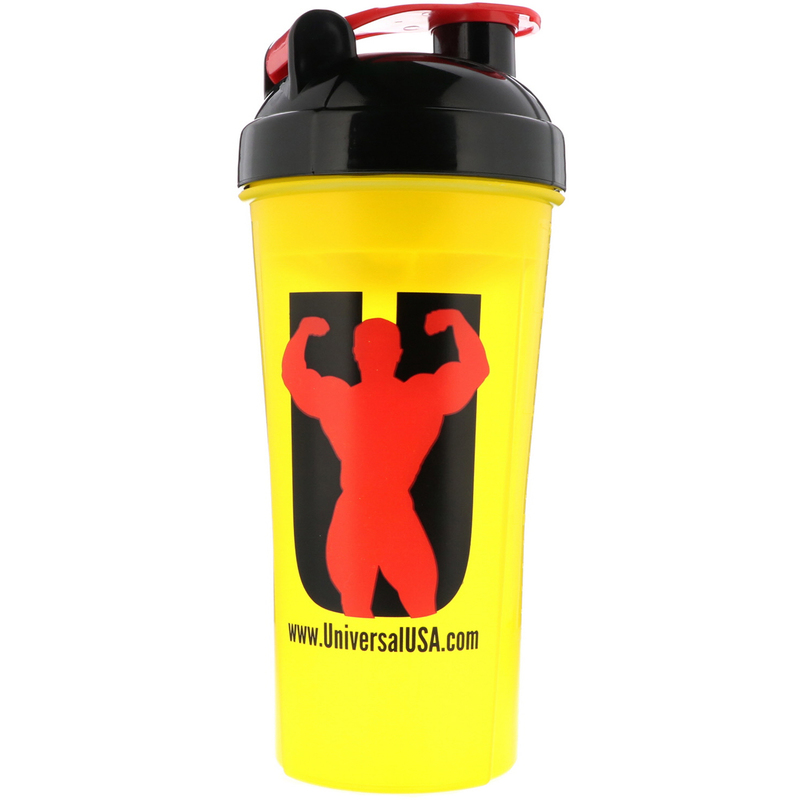 This shaker is dishwasher safe a BPA/DEHP-free.